Cook with Claire: "Fast Food Nation" author Eric Schlosser on why being a foodie isn't elitist. "Fast Food Nation" author Eric Schlosser on why being a foodie isn't elitist. This article was on the front page of the Outlook section of today's Washington Post. I guess I do consider myself a "foodie" and I am proud of it. I think that being a "foodie" means I prefer to cook and bake real food rather than eating something that is out of a box or from a fast-food establishment. In my opinion it seems like common sense that real food is better for you. Our bodies know how to break-down and utilize the nutrients in real food. Eating real food seems like the best option for staying healthy. 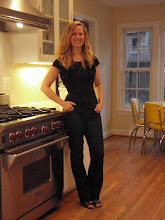 My goal for this blog is to encourage and help my friends and family to cook and eat more real food. I have recommended several books but if you don't read any of the books at least read this short Article. Real food is also, hands down, the winner in the taste category......delicious!